Pochettino masterminds a Zidane day of shame! Start with the third goal, because it was just so good. 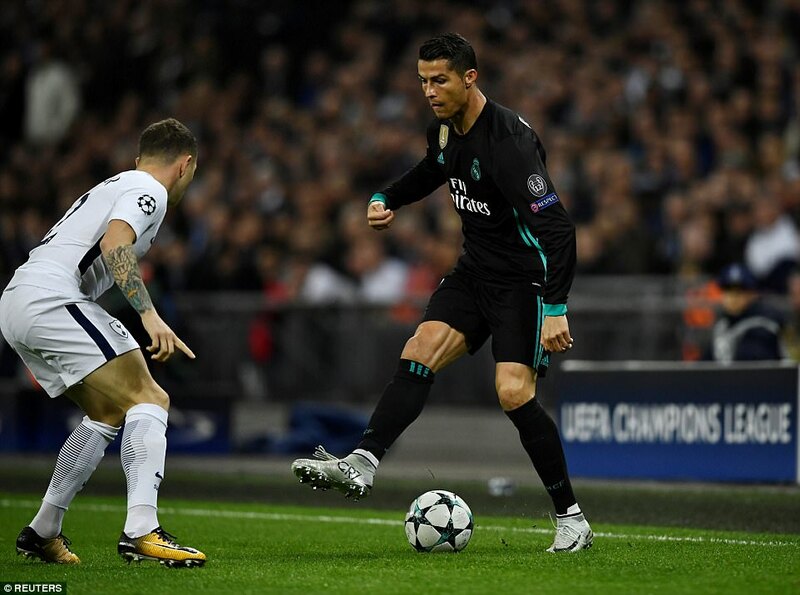 A lovely reverse pass from Dele Alli to Harry Kane; a perfectly weighted pass inside from Kane to Christian Eriksen; the coolest of finishes from Eriksen clipped with his left foot, past goalkeeper Kiko Casilla, to ensure no nasty surprises. And that was it. Real Madrid were done. For the first time in a Champions League group game since October 2012. They have only failed to score once in 53 European group matches, too. My word, Tottenham really did a job on them. 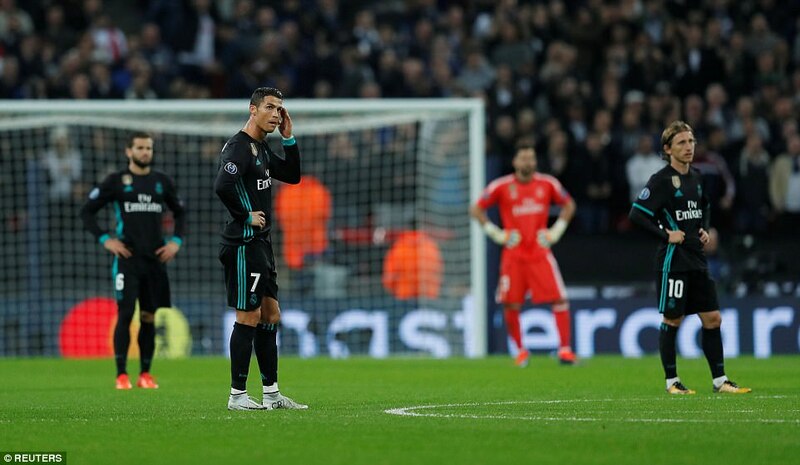 By the end, Cristiano Ronaldo, who had never lost a match at Wembley was a study in cold, impotent fury. He wasn’t even in the best 11 players on the field, despite his opportunist goal from close range in the 80th minute. Every one of them played for Tottenham. Dele Alli poked home the opening goal of the game after a switch of play. Alli, naturally, will have garnered the headlines: two goals saw to that. He was excellent on his return to European football, following last season’s suspension. What a different team Tottenham look in this competition, from then to now. The previous campaign was a bogey. 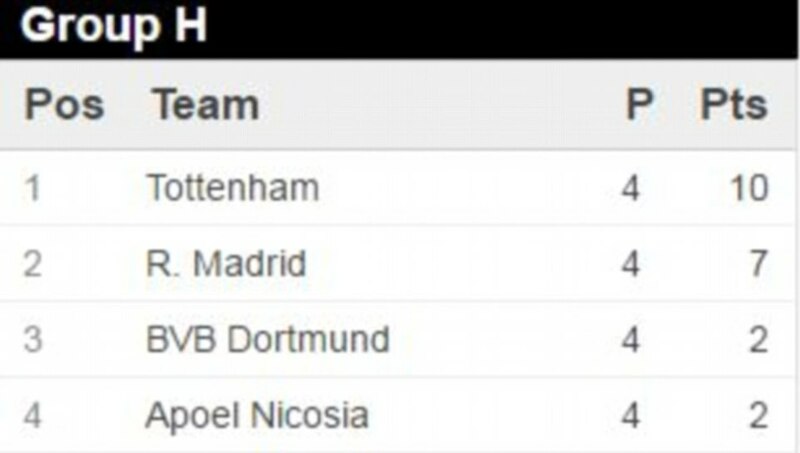 Having pulled what many perceived to be the easiest group of any English competitors – although hindsight suggests it wasn’t – Tottenham came up very short. A year on, they have gone long. They have scored six goals, at Wembley, against Real Madrid and Borussia Dortmund; won away at the Bernabeu. And if the point in Spain had a degree of the rearguard action about it, this could not have been more different. Tottenham were different class, the best team by a distance. If two of the goals had a degree of fortune about them – provider Kieran Tripper was offside for the first, Alli’s shot for the second took a deflection – the performance was no fluke. Indeed, Alli could have had a hat-trick, had he not missed a free header from another excellent cross by Trippier in the 78th minute. Instead, he had to settle for two, including a 56th minute second that showed this Tottenham side as its sharpest and smartest. A fine ball out of the back was read by Eriksen, his dummy working perfectly to set Alli away. 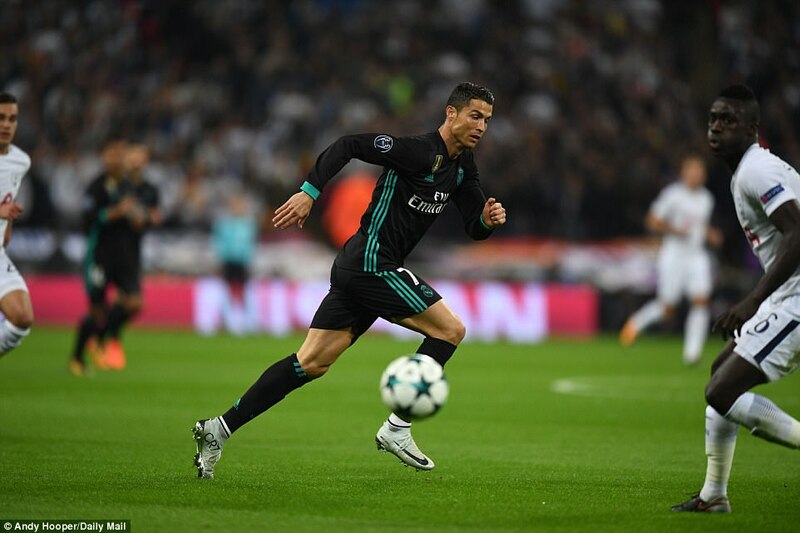 He showed great calmness, working his way towards goals, before hitting a shot which clipped Sergio Ramos’s thigh and defeated Cassilla at his near post. 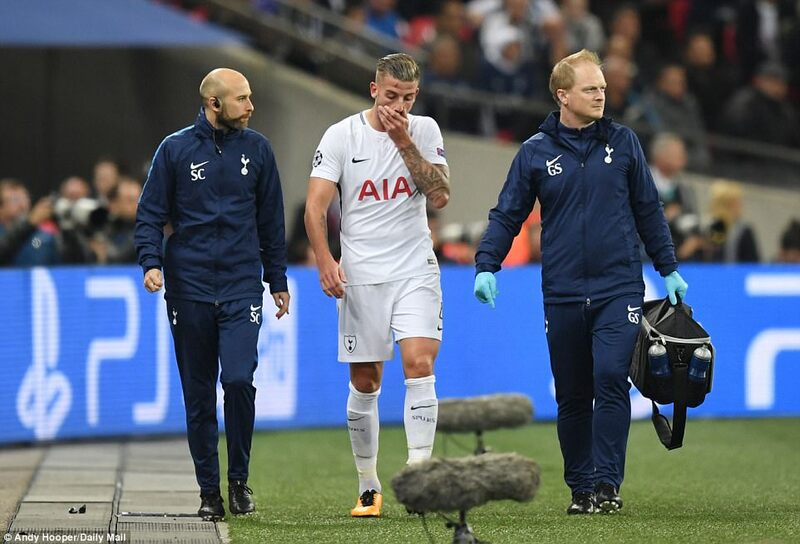 The only cloud for Tottenham was what appeared to be a significant hamstring injury for Toby Alderweireld, sustained in a race with Casemiro. He is a key player and his absence will be felt; but maybe not last night, when it would have been close to impossible to wipe the smile from the faces of Mauricio Pochettino and his players. What an opening 45 minutes it was for Tottenham. 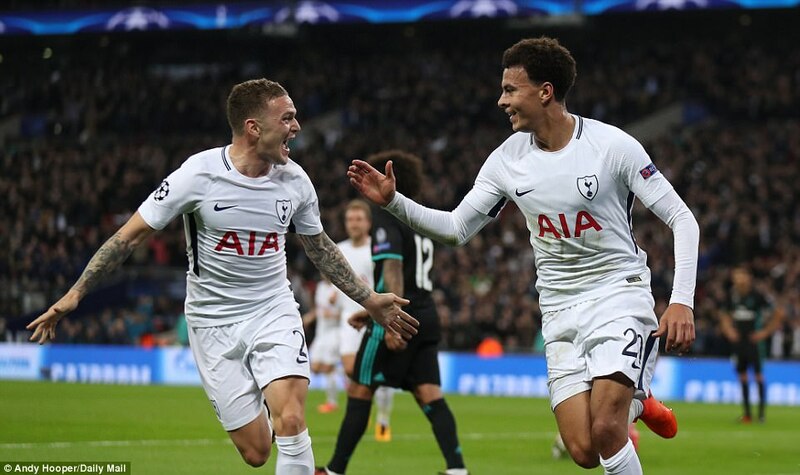 What a game it was from Kieran Tripper, Harry Kane, Harry Winks, Dele Alli, this core of young English players that have taken it to the champions of Europe this season, without so much as a hint of inferiority. 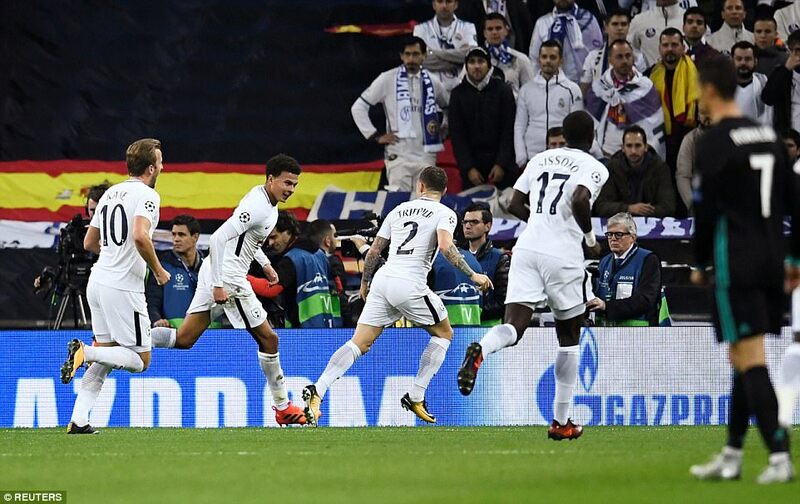 They thoroughly deserved the goal lead they took into half-time, thoroughly deserved the superlatives that greeted a period of play every bit as impressive as any turned in by an English club in Europe this season – and Chelsea set the bar pretty high for 20 minutes against Atletico Madrid. It took them ten minutes to get going but, once they hit their mark, they as good as blew Real Madrid away. So much of what Tottenham did was exemplary. The vision of Kane – so much more than just a goalscorer. The sharp, early delivery of Trippier, which put one in mind of no less a wide player than David Beckham. The work-rate, the intelligence. It was all there. Some will look at Tottenham’s results with Kane absent – two defeats – and come to a familiar conclusion, but this first-half display was about so much more than one man. Tottenham must overcome their stigma against the biggest Premier League clubs. Looking at what they did to Real Madrid in spells here, It would be so sad if this team never fully realised its potential. Kane was, as ever, the catalyst for so much of what was good about Tottenham. It was his pass in the tenth minute that began Tottenham’s purple patch. What a beauty it was, too, as good as anything Toni Kroos or Luka Modric might conjure for Madrid, putting Christian Eriksen in much as he did in a game at Old Trafford on the first day of the season two years ago. That was the pass of the match, too, as it was here – and as happened at Manchester United, Eriksen did Kane a disservice. He miscontrolled the ball and a great chance went west. Thankfully, Kane tends not to be as careless with gifts from Eriksen. It was Tottenham’s speed that was causing so many problems. Not just down the flanks but in their reactions to any loose balls. 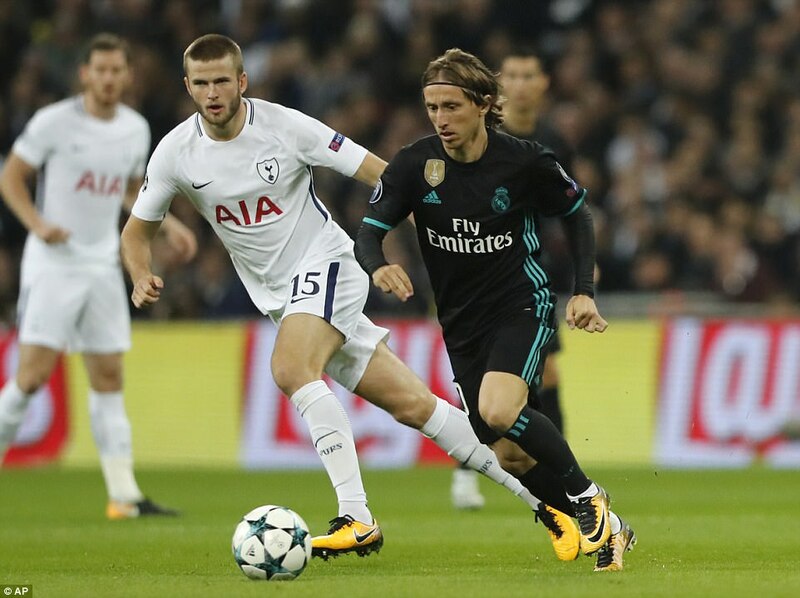 When Sergio Ramos cut out a pass from Alli, Kane was quickest to react and forced a save from Kiko Casilla, albeit a comfortable one. Soon after came the rehearsal for what would ultimately be Tottenham’s goal. Again, Kane was at the heart of the action with a lovely crossfield pass that found Trippier high on the right. Here is what he does that is so special. He takes it early. First time, often. He crosses as Beckham used to, as a first thought, giving the forward in the middle as much time as possible to take his chance. Too many wide players and midfielders want to finesse their work; so many touches, so much delay, looking for the perfect ball. Trippier hit Kane’s pass on the volley, first time, and Alli in the middle should have been on the end of it. He wasn’t ready. But he’s a quick learner. He wouldn’t make this mistake the next time. And there was a next time, 13 minutes later. In between, Winks had squandered a decent opportunity after a Marcelo clearance from wide took a strange trajectory and found its way to him in the middle. This time he made amends. Winks played a similar pass to the one Kane hit for Trippier, and the wing-back gave it the same treatment, a low first-time cross into the six yard box. Now, Alli knew what to expect. He made ground and poked it past Casilla. Tottenham had the lead they deserved. The unsung hero of the goal? Kane, of course. He chased a lost cause of a ball, Jamie Vardy-style, much to the surprise of Madrid defender Nacho, who gave away a panicky throw-in. 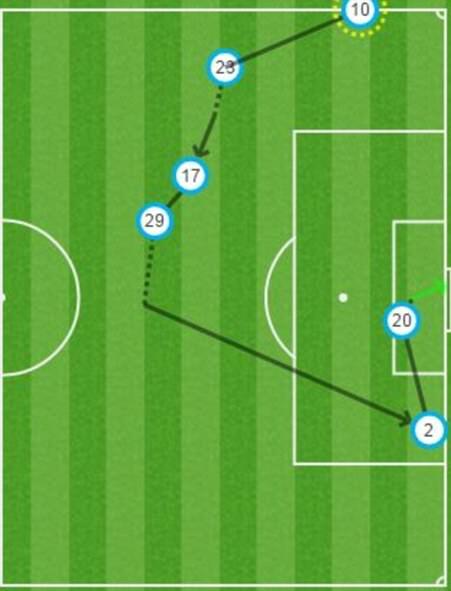 From that, Tottenham built the pressure that led to the goal. No English clubs do not always play as beautifully as the best of Spain; but some attributes, though earthier, can be equally worthwhile.